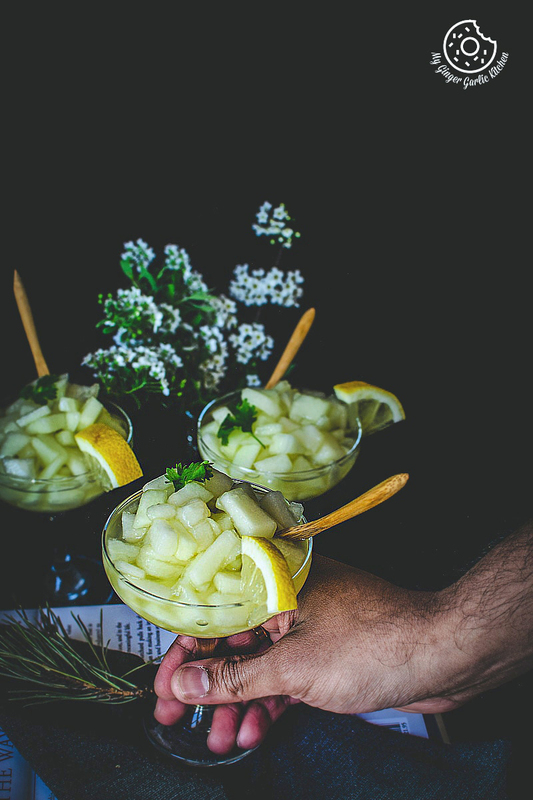 Learn How To Make Summer Melon Dessert | Kharbuje Ka Panna Recipe with a simple video tutorial. 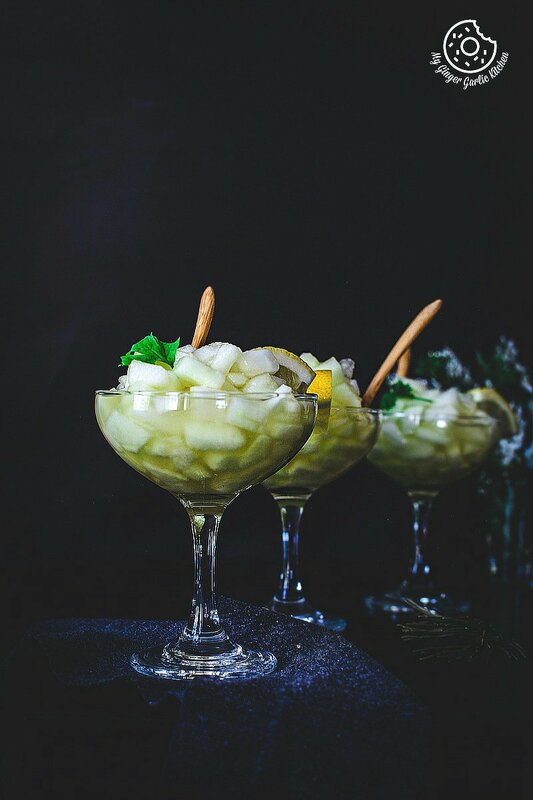 If you want to go one step ahead and want to take fresh summer melons to the next level beyond its basic fruit nature, then this kharbuje ka panna is for you. Sugar is added to the melon chunks for a sweet perfection and kept in the refrigerator. Melon then oozes the sweet juices when kept in the refrigerator. This is an ultimate dish for summer gatherings, or as a healthy dessert, brunch, or snack on a hot summer day. What is Kharbuje Ka Panna? 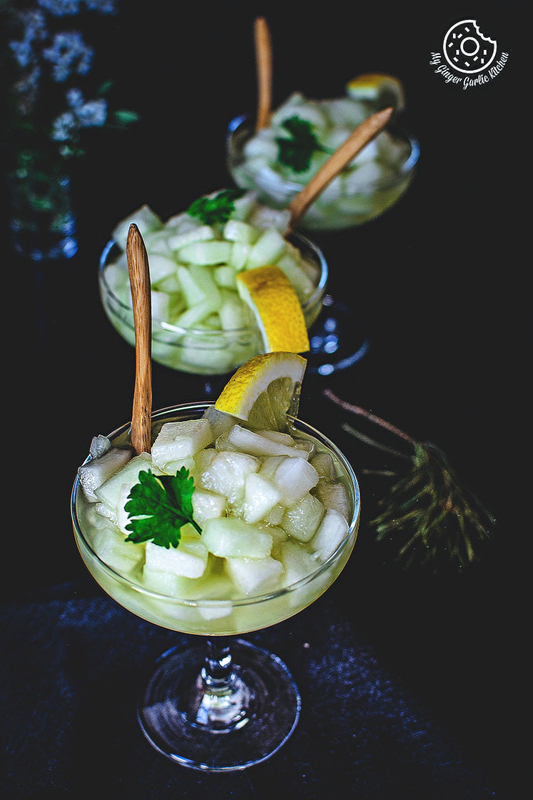 Kharbuja is a Hindi name for melon, and Panna is a name for a summer dessert. So in simple words, this is a utopian summer dessert made using melons. This seasonal cooling dessert is perfect to serve as an after meal dessert or as an evening snack. 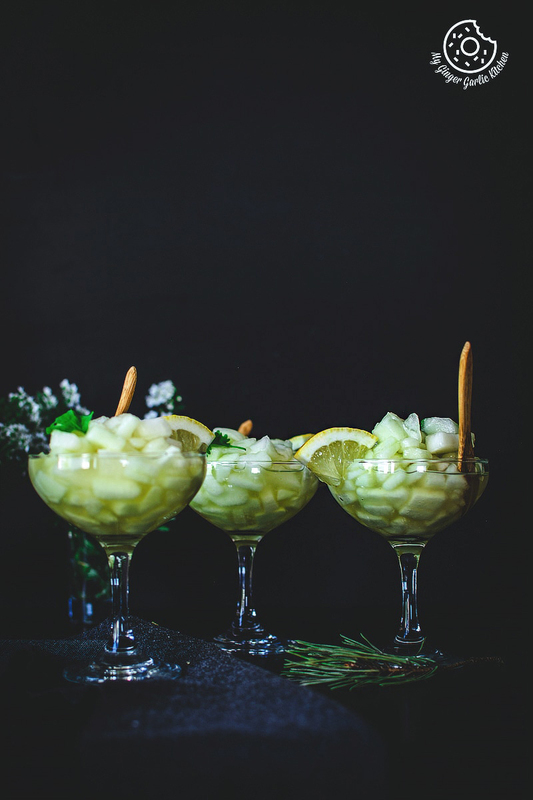 What is so good about this Summer Melon Dessert | Kharbuje Ka Panna Recipe? First of all, it is so luscious and tastes delicious. Like most of the summer produce, melons have their special health benefits during summers. They have high water content, so eating any melon in any form keeps us hydrated throughout the day during summer. Melon is also so full of fibers, vitamins, and minerals. What type of melon is best for making a Summer Melon Dessert recipe? For this recipe, you can use cantaloupe, muskmelon, honeydew or the canary melon. 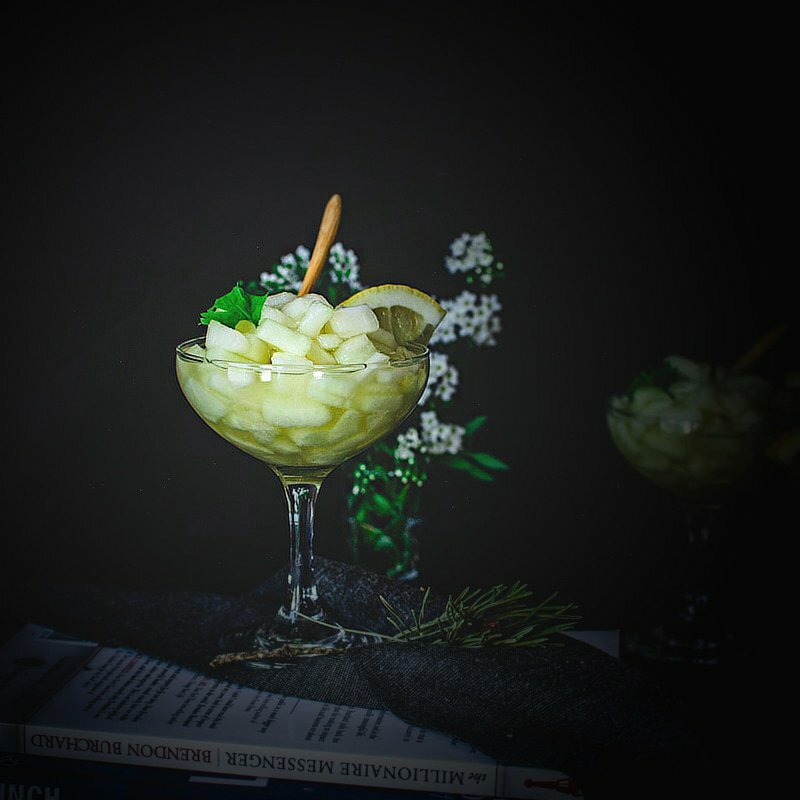 I used canary melon in my recipe. 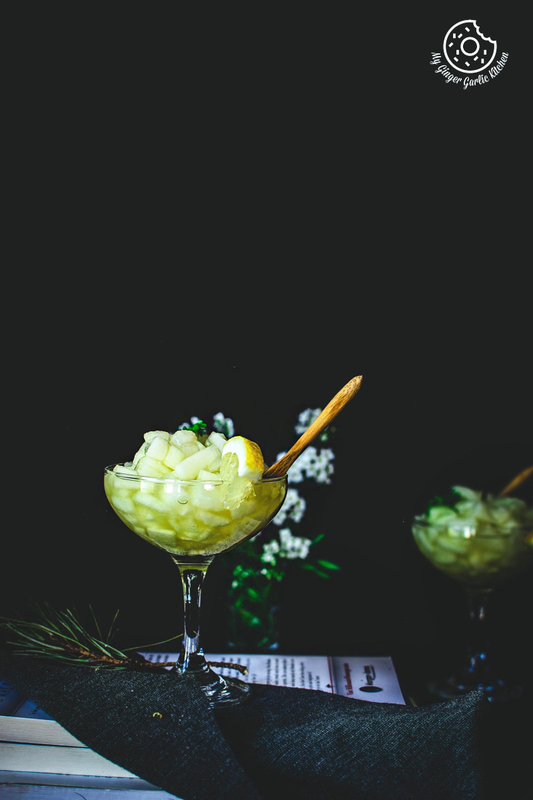 What are the ingredients used for this Summer Melon Dessert ? For this Kharbuje Ka Panna or Summer Melon Dessert, you will only need 2 ingredients. Melon and sugar. Yes, these 2 ingredients make an incredible summer dessert. How long does it take to cook Summer Melon Dessert (Kharbuje Ka Panna)? It takes only 10 minutes of your precious time + chilling time. How difficult is it to make Kharbuje Ka Panna? This Kharbuje Ka Panna (Summer Melon Dessert) recipe is so easy to make. And it requires only the mixing of 2 ingredients. Chopping + Mixing + Chilling = Done. Would your kids love this Summer Melon Dessert? Yes, kids definitely adore this. The little me always loved it, and now my 5 years old loves this and wants me to make it all the time. Not even they love to eat this, they also want to help you in the kitchen when you are making this kharbuje ka panna. Sometimes kids are not so fond of fruits, but they always love sweet stuff. Don’t they? So parents get creative and they make dishes favorable to kid’s taste buds. And kids don’t mind eating fruits at all when they are presented in the form of desserts. Isn’t it? When are the best times to make this summer melon dessert? You can make it for summer get-togethers or as a summer dessert, or a healthy snack on a hot summer day. Let’s learn to make Summer Melon Dessert | Kharbuje Ka Panna Recipe. 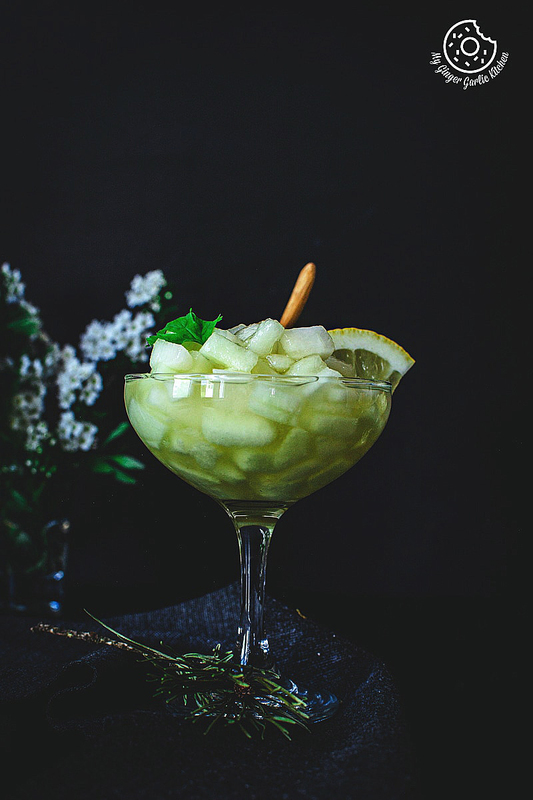 If you want to go one step ahead and want to take fresh summer melons to the next level beyond its basic fruit nature, then this kharbuje ka panna is for you. 1. Cut a chilled melon into the half. 2. Remove the seeds, and remove the rind. 3. Chop melon into 1/2 inch pieces, and add it to a mixing bowl. 4. Add sugar and mix well to combine. 5. Divide kharbuje ka panna to 4 serving glasses/bowls. 6. Refrigerate for at least 1 hour to 4 hours. 7. 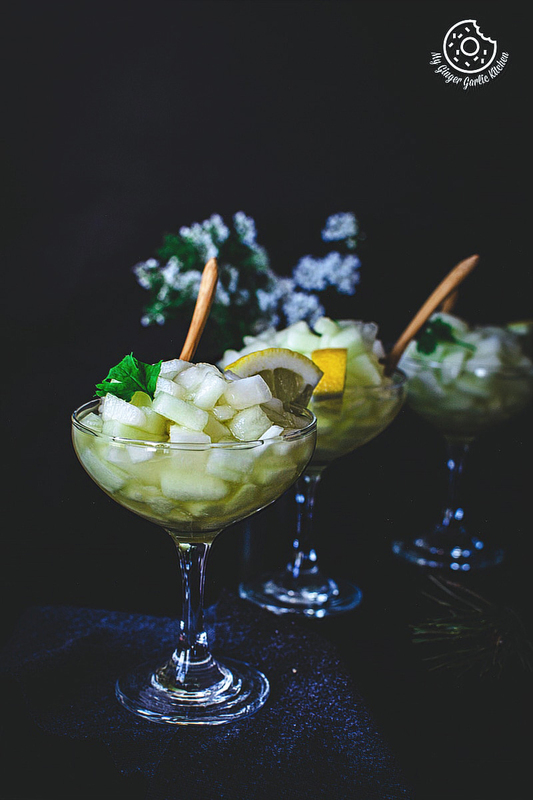 To serve, garnish with mint leaves, and lemon wedges.